If you are a resident of Destin, FL you are used to the sandy beaches and beautiful sunsets along the coast of the Gulf of Mexico. Unfortunately, this calming sense of life can be interrupted by tragic occurrences. Personal injuries are commonplace, and more often than not, fault does not lie with the injured party. If you have suffered a personal injury in Destin, FL, the most important step to take in order to get the compensation you deserve is to hire a personal injury attorney. Injury attorneys will sift through the complicated legalese of your claim, making the process swift and easy. This assures that you will be able to focus on your health, rather than the complexities of the legal process. If you are seeking legal representation for a personal injury claim, the injury lawyers at Link & Smith P.C. will give you the quality representation, with a dedication to your personal needs. They understand your pain, and want to make this trying time as easy for you as possible. Mark Link and Houston Smith have offices all around the southeast, yet they are able to meet the individual needs of the communities they serve. Why should you choose Link & Smith P.C.? 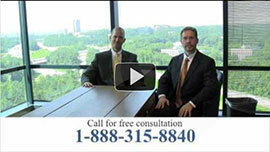 The attorneys at Link and Smith P.C. 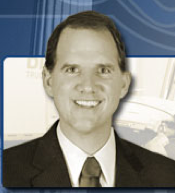 specialize in a variety of personal injury cases. These include motorcycle accidents, auto accidents, tractor-trailer accidents, texting-and-driving accidents, and DUI victim representation. These lawyers also have a record of impressive case results, ranging from a few thousand dollars, all the way up to claims worth upwards of $40 million. The diversity of their clients’ situations, coupled with the variety of their specialization in the field make these lawyers worth your time. The lawyers at Link and Smith P.C. also work on a contingency basis. This means that they do not receive compensation until you receive your compensation. All of these factors and more insure that your life after suffering a personal injury will not be interrupted by the complications of the courtroom. Put your mind at ease, and call the injury lawyers of Link & Smith P.C. at 888-315-8840. This entry was posted in Blog, DUI accidents, Motorcyle Wrecks, Personal Injury Attorneys, Texting Accidents, Tractor-trailer accidents and tagged auto-accident, big rig accident, DUI victim, injury attorney destin, injury lawyer destin, motorcycle accident, personal injury attorneys. Bookmark the permalink.